Oooh boy that summer heat! Bugger just wants to melt allll my makeup right off! 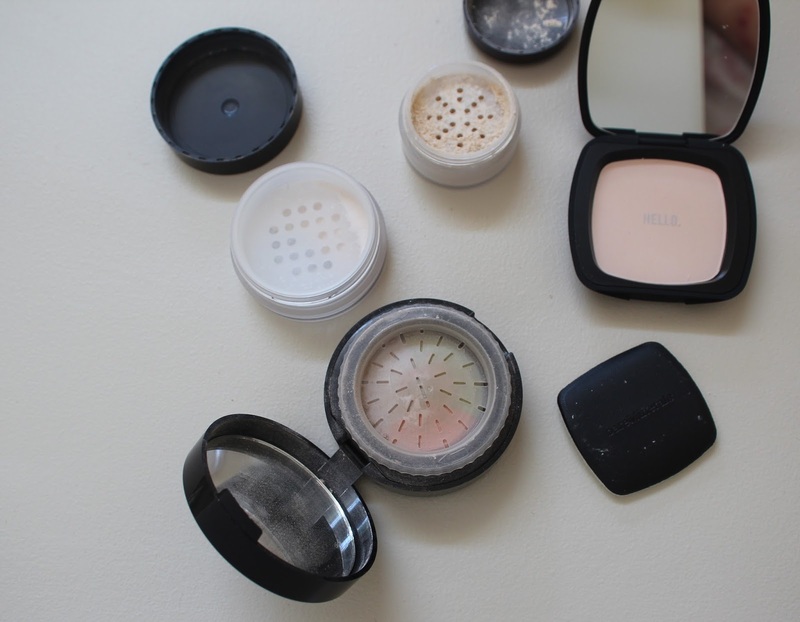 Instead of letting it do that to me (and, more importantly, you) I decided to put together a couple of posts about my favorite products to get set and go...after I've gotten ready, of course! 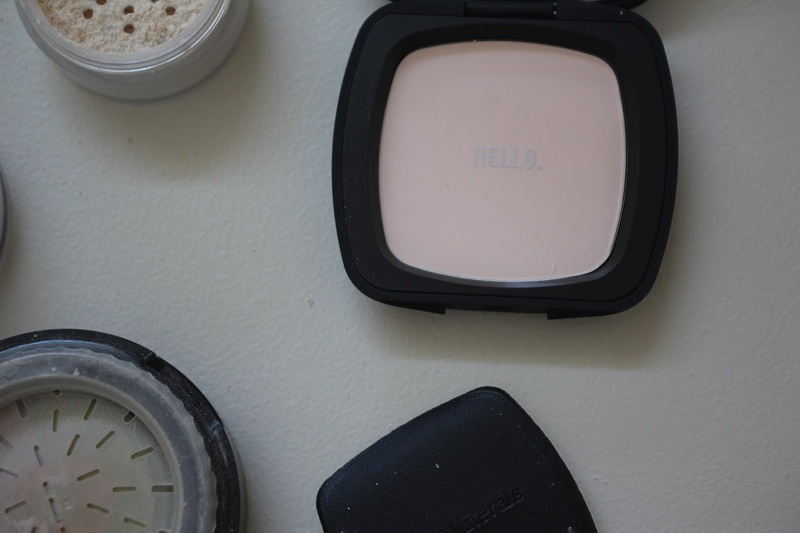 This post is about setting powders, but have no fear if that ain't your thang because the second one is all about setting sprays! I have a somewhat modest collection when it comes to setting powders. I own these four bad boys: NYX from the drugstore, Stila and Bare Minerals from TJ Maxx/Marshalls, and everyone's holy grail Laura Mercier from Sephora (but mini-sized!). This NYX translucent setting powder was the first I'd ever purchased! I used this and their setting spray every single day last summer- I was biking to work, but still had to look 100% when I got there (it was a very stylish office). The combination of these two products kept me magically un-melty and my makeup looking great! That is saying soooo much when you're kind of dally dying from heat and exertion. The only down side I have with this powder is that it shows up (glaringly so) under flash photography. That makes it pretty good for every day life (and bike rides!) but not so much for any day/night/event where you're likely to be pictured- something I find a little meh given the beauty/fashion/lifestyle page you're currently perusing! This Stila monster is pretty different from the other three in this list: it's colorful! The Stila compact comes with three tinted powders in lilac, light green, and orangey-coral for color correcting. 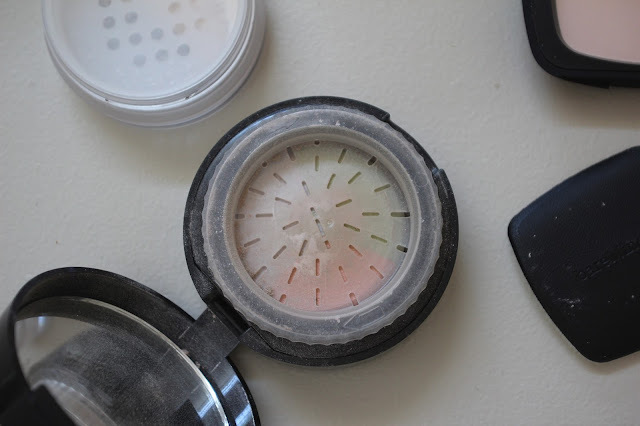 It's also a baked powder with a rotating/powderizing container- it's all pretty darn cool! I've never tried to use any individual color correcting powders or creams, so this is a really nice way for me to dip a toe in! 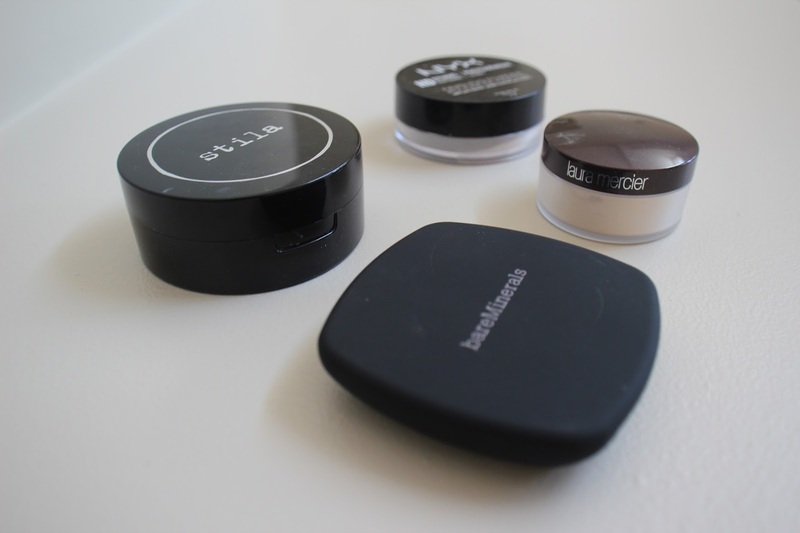 The three shades swirled together give an almost-colorless setting powder. I haven't tried flash photography with this powder (or the other two!) yet, but I can't imagine it would pick up because it's not the glaring white of the NYX powder? This translucent Touch Up Veil powder from Bare Minerals miiiight be my favorite in terms of packaging! The "Ready" line is a soft matte compact and each comes with a clear powder cover that says "hello" on it (it's the little things that make me happy, okay?). It's also got a HUGE mirror and a cute little puff (though I tend to use my Bare Minerals mini kabuki) for on the go touch ups! 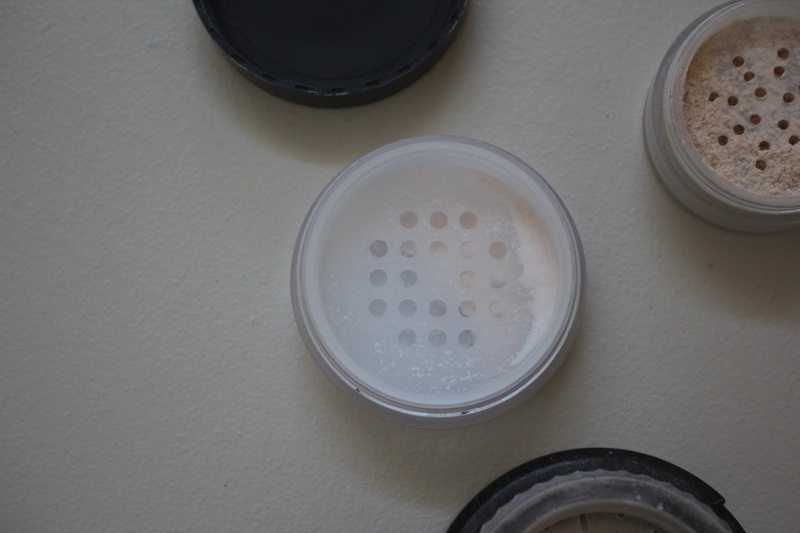 The powder looks almost pink or creamsicle in the pan, but it applies translucent over makeup. 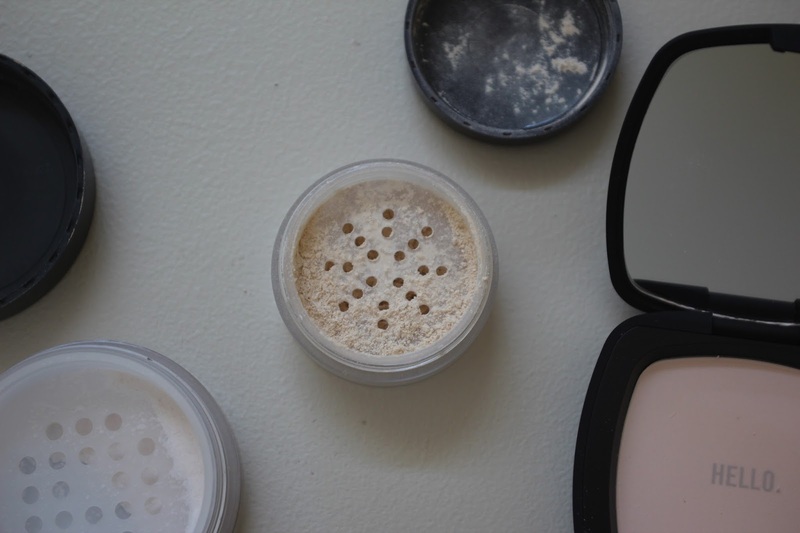 PLUS- this powder comes with the benefit of SPF 15, so it's perfect for summer! Ooooooh this Laura Mercier loose setting powder! There's a reason this is everyone's favorite, let me tell you! It's a sort of cream color in the frosted-glass-looking container and So. Beyond. Soft. Omg. I've been applying it as Tati from GlamLifeGuru suggests, with a damp beauty blender. I haven't quiiiite figured out how baking works yet, but I do SO enjoy the way the product interacts with makeup, especially under eye and under contour! 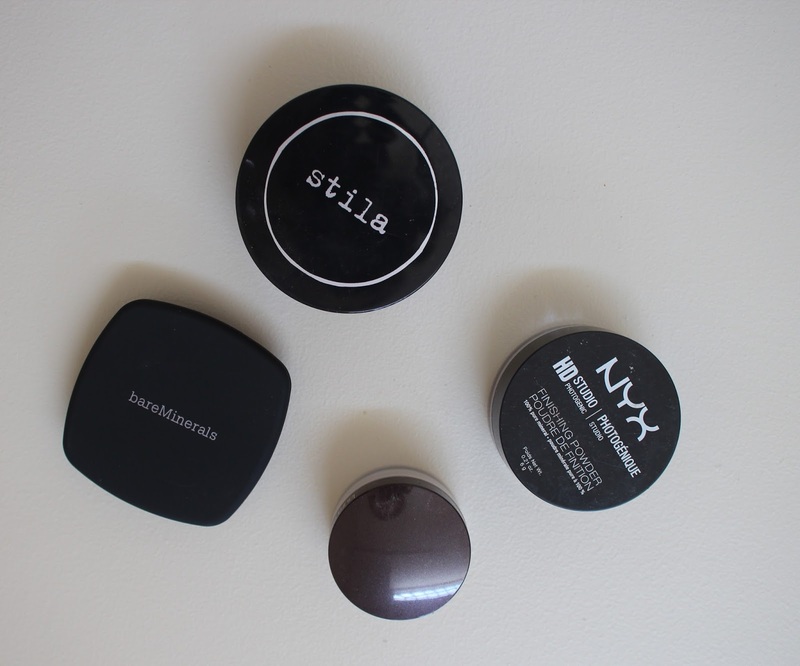 Do you guys have favorite setting powders? Or are you more of a setting spray kinda gal? Don't forget to check in next week for part two of this setting series!